When Plaza Dry Cleaners opened nearly thirty years ago, we realized that for our customers to have a truly exceptional experience, we had to maximize their convenience and minimize their in-store time for dropping off and picking up their garments. That’s why we developed our signature EZ-Drop system. This is the perfect solution for our clients on the go because it eliminates the time it takes to write up your cleaning order in a store. It only takes the time for you to walk in and walk out. Sign up for the EZ-Drop service at our Flemington, NJ location. We will provide you with a bag with your name on it. Leave your bag at the drop-off point in our Flemington store anytime during business hours. You’ll receive an email when your clothes are ready for pick-up. You’re credit card will be billed for payment. Leave special instructions for the care of your clothing in the bag. In addition to our new EZ-Drop service, Plaza Dry Cleaning offers free home and office pick-up and delivery service for customers who live and work in the geographic areas around our six locations in Bound Brook, Clinton, Bedminster, Flemington, Whitehouse Station, and Liberty Corner. Now, you have two ways to avoid the line at the cleaners. 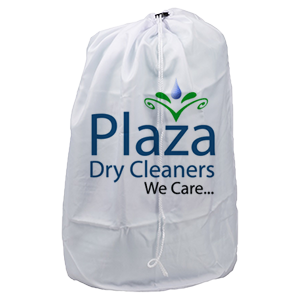 With nearly thirty years serving communities around Somerset and Hunterdon Counties, Plaza Dry Cleaners has built its reputation by providing exceptional, convenient dry-cleaning and laundry services at an affordable price. With EZ-Drop, you can now enjoy crisp, clean clothes without spending a minute in line.